Your TV has been having problems with the antenna lately and, for this reason, you’re having trouble seeing TV channels. In an attempt to solve this small temporary inconvenience, you have decided to turn to IPTV, then to television via the Internet, so as not to lose the transmission of your favorite programs. How do you say? Are things exactly the way I’ve described them? Then know that you’ve come to the right place at the right time: in today’s guide, in fact, I’ll show you how to install IPTV on Smart TV through some steps that will make this operation really simple. We will see, therefore, how to install an application useful for watching TV channels entered via an IPTV list and how to configure it properly. I assure you that you really do not have anything to worry about: just follow the instructions in this tutorial and you will surely succeed in your intent. Good reading and good vision! Warning: since it is absolutely not my intent to encourage piracy, during this tutorial I will show you how to use the IPTV apps on Smart TV for watching TV channels in clear, not those of pay TV. Use the tools indicated in the article only for lawful purposes. I do not consider myself responsible in any way for any unlawful use of the information provided in this guide. If everything is clear, let’s move on to action. Before explaining in detail the procedures that you need to install IPTV on Smart TV, I want to briefly explain what is IPTV and how it works, so that you can understand how to use this technology to the fullest. IPTV is the acronym of Internet Protocol Television and, as the name suggests, it is a system that allows you to watch TV through the use of the Internet connection and through the TCP / IP protocol. This fruition of the contents has enormous potential even if, recently, it has been a bit ‘put aside in favor of OTT (Over-The-Top) technology, which is based on that of IPTV, but also guarantees the ability to view content in on-demand mode. An example of this latest technology is represented by the most popular streaming platforms, such as Netflix, Amazon Prime Video or, for sports content, DAZN. 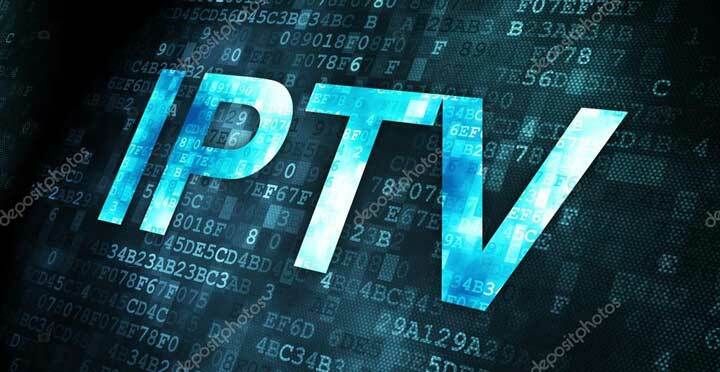 Also, you should know that IPTV technology is often used improperly to see paid TV channels for free; this type of use is absolutely discouraged, as it is against the law and severe penalties are foreseen even for those who use it. Now that you understand how IPTV technology works, you can move on to the practical part of my tutorial. In the next paragraphs, I will explain in detail how to connect the Smart TV to the Internet and I’ll talk about some useful applications to see the IPTV on Smart TV, also indicating the procedure to configure a recommended app, SS IPTV. If your intent is to see IPTV channels on your Smart TV, you can use specific apps, which you can download for free from the TV store. To proceed with the download of applications, it is clearly necessary to connect the Smart TV to the Internet, through a procedure that I will point out in the next lines. Just a little clarification before starting: all the procedures you will read will refer to the LG Smart TV that they have, so the menu items and steps that I will point out could vary slightly on the model of TV in your possession. All clear? Well, let’s move on. To connect your Smart TV to the Internet, switch it on and press the Home button on the remote control (it has the symbol of a small house). Display the main menu, use the remote control pointer to press the gear symbol icon located in the upper right corner and, in the drop-down menu that is shown on the screen, press the symbol […], called All settings. At this point, find the word Network, press on it and choose whether to access the Internet via Wi-Fi or wired connection, ie via Ethernet cable. In the first case, press on the Wi-Fi connection that you see on the screen, locate the voice related to your home network and press on it to connect, typing the access password you find on the modem or the one you personally set. If, on the other hand, you intend to use a wired connection, you must have an Ethernet cable to connect the modem / router Ethernet port to the one on the back of the Smart TV. What you can see below is an example of Ethernet cable, available on Amazon.com, which can be for you. 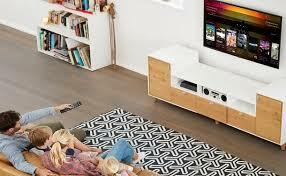 Once you have connected the Smart TV to the Internet, open the store of the latter, in order to download and install an app for IPTV. In my case, on an LG Smart TV, the virtual store is called LG Content Store and is located in the home screen of the TV, accessible by pressing on the symbol of a cottage on the remote control. After that, after pressing the store icon, press the one with the magnifying glass symbol (located in the top menu). Then type in the text field that you see on the screen the term iptv, in order to display the corresponding search results. Among the IPTV apps that you can find on the store, there are some that allow you to access pre-configured IPTV channels, such as ONE IPTV, which offers the vision of Vietnamese TV channels, or ILIRIA IPTV with Albanian TV channels. Other apps, however, such as SS IPTV, also allow you to perform a custom configuration, through the inclusion of IPTV lists, such as those in m3u, xspf, asx and pls. While the first type of app does not require any configuration, for the second it is necessary to perform a manual procedure for adding the TV channels to be seen. In this regard, in the next paragraph I will talk about precisely how to perform the configuration of the free SS IPTV app. As anticipated, among the IPTV apps that I recommend to download for free on your Smart TV there is SS IPTV, a multimedia player that, thanks to its user interface in Italian, offers an easy configuration procedure for the inclusion of the dedicated lists to watching IPTV channels. 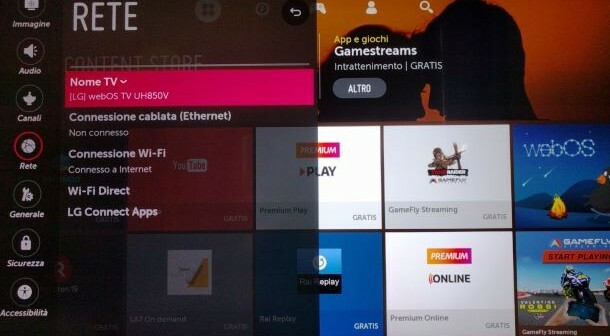 That said, once you have reached the store of your TV (LG Content Store in the case of LG TV) and performed the search for IPTV apps (as indicated in the previous paragraph), locate the SS IPTV app, download it and install it by pressing the button Installation. Now, wait for the end of this automatic procedure, then click on Start, to start the app and configure it, following the instructions I am about to provide you. When the application is started, press the Accept button to agree to the terms and conditions of use on the License Agreement screen for the user. In the initial section of the app, press the button with the gear symbol at the top right to access the settings menu. Now, click on the Content item in the left side menu and, in the next screen, press the (+) Add button to display the text field in which to insert the IPTV list, which must be in one of the supported formats, as for example m3u. Finally, press the Save button at the top to save the imported list and return to the Home screen (Main Screen) by pressing the Back button on the remote control. Now you just have to press the icon of the newly created multimedia playlist, to start playing the TV channels in the list inserted in the app. If, instead, you do not want to insert a list of IPTV channels, you can see those already present and pre-configured within the app, by pressing on the Open TV item in the Main Screen section. It’s all very simple, is not it?